Note for Canadian applicants: As of 5/28/2018, Trinity School of Medicine is listed as a Designated Educational Institution by the government of Canada (code ZUCF). Its citizens may now obtain Canada Student Loans (federal and provincial) to cover the cost of attending Trinity. Click through to the Canadian Student Loan Information page to learn more. Trinity maintains relationships with multiple private student loan providers. Trinity's student loan programs utilize student credit profiles as a primary factor for loan approvals. This loan program provides rates and terms that are competitive with Federal PLUS Loans for Graduates, and in many cases offer better rates. The terms of the loans themselves are where this program stands out. 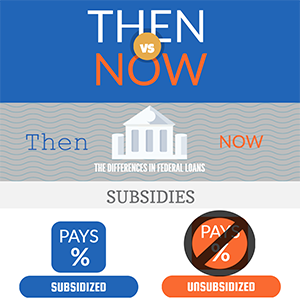 Each ofthese terms are a major advantage over federal programs. The grace period is where this really stands out, though. 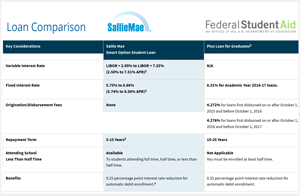 Through that extended grace period and no origination fees, the Sallie Mae Medical School Loan saves borrowers $16,000 at the start of repayment, compared to the federal option. Sallie Mae has helped more than 30 million Americans pay for college since 1972. We encourage students and families to supplement their savings by exploring grants and scholarships, and to consider the anticipated monthly payments on their total student loan debt and their expected future earnings before considering a private loan. Trinity School of Medicine maintains other lending partners for those students who may not qualify for Sallie Mae Graduate Loans. We understand that students may have experienced credit issues and some may not have cosigners with appropriate credit histories to offer further support. In many cases, we have a solution for you. Students are encouraged to utilize a qualified co-signer to support their loan application. Co-signers must meet the minimum program requirements; satisfy income and other credit requirements. All student loan applications are electronically submitted. 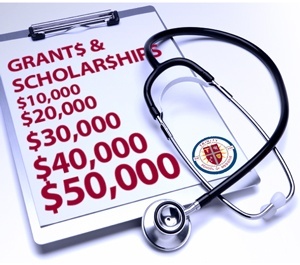 Once you have been accepted at Trinity School of Medicine and submitted your initial commitment deposit, you will be allowed to make your application at Sallie Mae and/or one of our other providers and the appropriate portal website address and logon access will be sent to you. The Cost of Federal Borrowing Explained Perception is that federal loans having a lower interest rates than private loans. Graduate school is an entirely different animal and deserves careful inspection before taking on any debt. Read More. Your Credit profile is a primary factor for loan approval with all providers. It is advisable that students obtain their credit score from all three major credit bureaus to ensure their credit rating is based on the most current and accurate data. There are many organizations that provide this service, but one of the less expensive alternatives is AnnualCreditReport.com. If you have questions or need additional assistance, please contact Keith Hollers via email khollers@trinityschoolofmedicine.org or call 470-545-3700.